One of the most popular varieties of Holly, these variegated Ilex 'argentea marginata' trees have wonderful, abundant foliage. 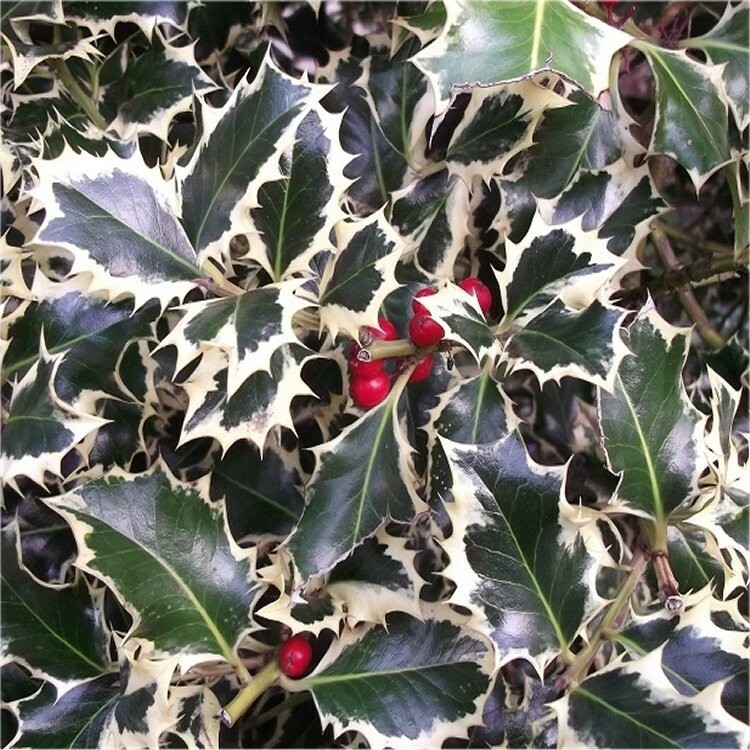 The shiny, spiky, dark-green leaves have an unusual creamy-white edging that really makes these Holly Tree's stand out from the crowd. The unusual foliage itself is eye-catching, then small white flowers bloom in Spring. As these fade and Autumn approaches, bright, red berries form and provide a real visual treat for any one that spots them.Why not surprise a loved one this festive period, with a gift of these traditional holly tree standards with a unique, modern twist? Ideal for providing an instant festive feel. Supplied with a clear stem, topped off with an attractive lollipop head, often displaying seasonal berries. 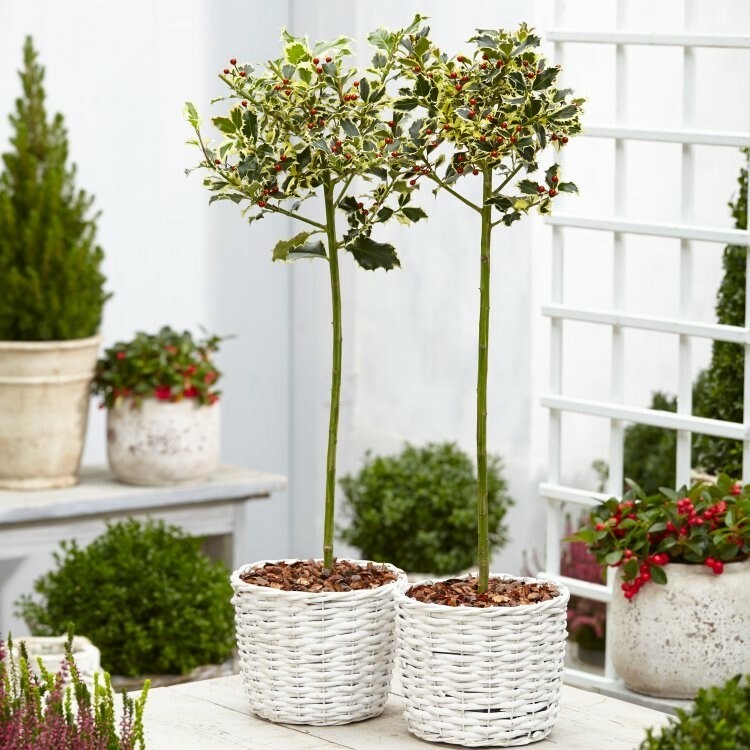 The overall height of these gorgeous holly plants including planters is around 90cms. A Pair of these distinguished evergreen holly trees really is a sight to behold and will be loved for many years. Pair of Ilex aquifolium argentea marginata standards, around 90cms (3ft) tall.